I often hear people talk about how stock investing is gambling. “It’s no different than Vega when you put your money in the market,” they’ll say. When I hear this sentiment, I know that the people I’m talking to have no idea how to invest. They either don’t invest or use the markets as a casino, betting on red and black. People who know how to invest understand risk and reward and use this knowledge to put the odds totally in their favor. They know they will make money and can estimate about what return they’ll get, the only uncertainty is their rate-of-return during any given short time period. It is true that if I were to put $1000 into XYZ stock and plan to sell within a year, I would be gambling. I’ve spent over 30 years in the markets and I have no earthly idea what any individual stock will do during the next year. I don’t even know what the markets in general will do, which is easier to predict because the action of no one person will move a whole market, but a single company can be moved by the actions of their CEO or even a single line employee. But I can pick out a set of ten stocks and be fairly certain that I’ll make somewhere in the range of 10-15% annualized if I hold them for 10-20 years, only selling if something about the company drastically changes or a single position gets too big. 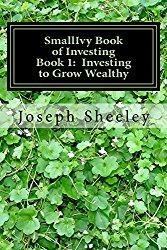 If you’d like to find out more details on how this is done and why it works, check out my book, The SmallIvy Book of Investing. It would also be gambling to buy a mutual fund or even a set of mutual funds using money that you need at the end of the year. For example, if you were planning to retire next year and decided to put your life savings into the Investment Company of America Class A fund with hopes of doubling it so that you could go live on the beach, you would be gambling. You would just as likely be down 30% as be up 30% next year. Most likely you would have between 90% and 110% of the amount you invested when the year ends. No one can predict where the markets will go over a short period of time. To take a position thinking that you can is gambling. You see, as long as everyone is trading with the same information, which is largely the case since financial news gets distributed so quickly and insider trading is illegal (but still does happen, and is legal for members of Congress – go figure), everything known is already priced into the price of stocks in the markets. If it is expected to be a cold winter, the shares of companies that sell coats and heating oil have already risen. If a tsunami were to wash over Florida and wipe out Disney World, the shares of Disney would have already fallen by the time you heard the news. If you think that stocks are overpriced, so do a lot of other people and they have already adjusted the prices accordingly. Because stocks are already priced to include everything already out there already, where they go next over the next week or the next year is all a matter of chance. Maybe someone in one of the company labs will find a cure for cancer and the shares will shoot up 1000%. Maybe the CEO will get indicted and the shares will fall 50%. Maybe someone who owns 30% of the company will decide to throw a big party for his daughter’s wedding and sell half of his stake, causing the price to dip. Maybe some people will just see that the price of the stock has gone up and buy more, figuring that the price will go up further. With all of these individuals making independent decisions in the marketplace, what the stock price will do next is anybody’s guess. So if it is all random, how can you put the odds in your favor? You do so by looking at the past and finding the things that were true then and will likely be true in the future. While I cannot predict whether the market will be higher this year or lower, I do know that the market is up about three years for every one that it is down. This means that if I hold stocks for 20 years, I will probably have somewhere around 15 up years and four down. I can also see that the returns for long periods of time (20 years or more) average around 10% before inflation. I, therefore, know that if I hold stocks for long periods of time, while I don’t know what will happen and when it will happen, I can be fairly certain that I’ll make about 10% annualized per year before inflation. So, if I buy a mutual fund and hold it for a year, then shift to another one or pull money out of the market, I’ll be gambling and the odds will be about 50-50 that I will make money in any given year. This means that I’ll probably break even over long periods of time. If I include trading fees, taxes, and the fees that the fund charges, I’ll be slowly losing money over time. This would be like playing baccarat in a casino. If I hold for a long period of time and don’t mess with things, the odds are very strongly in my favor (like 99 out of 100 or more) that I’ll make money, and I’ll probably make around 10% annualized. This means that my money will double, on average, about every seven years. It’s not like putting money into a bank CD, but it sure isn’t gambling. So, are you investing, or are you gambling? Have a burning investing question you’d like answered? Please send to [email protected] or leave in a comment.